Colt Combat commander 45, 1974 , fully customized: 30lpi front checkered strap, slide cut for novak sights, top of slide flattened and serrated, new beavertail safety, new big dot suppressor height sights, new trigger and sear spring, new mainspring and parts, 2 piece magwell installed, ed brown threaded barrel, new ambi safety, frame is cerakoted cobalt and slide is black cerakote. 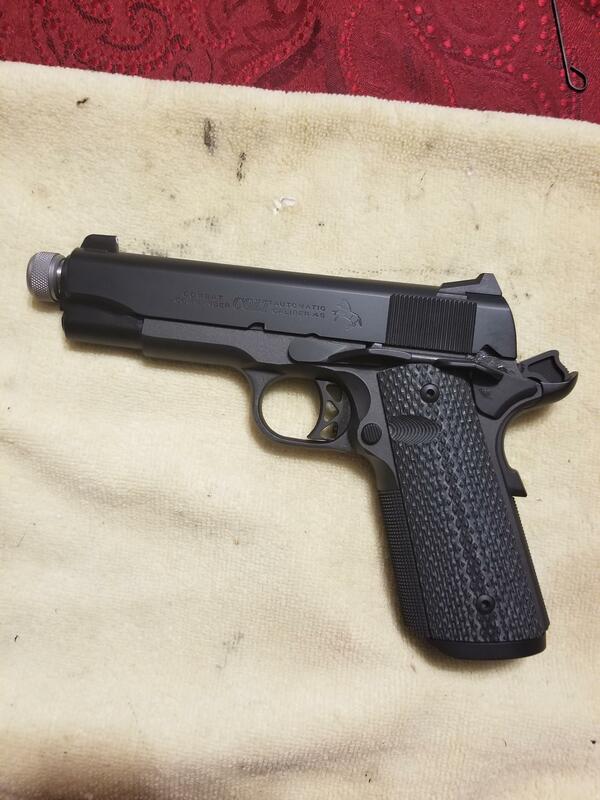 vz style grips, all work performed by jojos gun works , looks and shoots amazing. 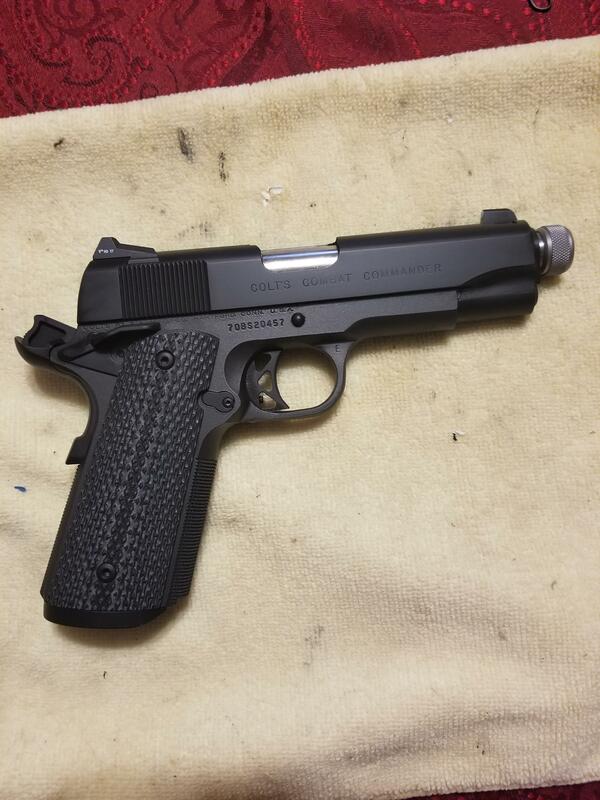 also comes wit original colt barrel. 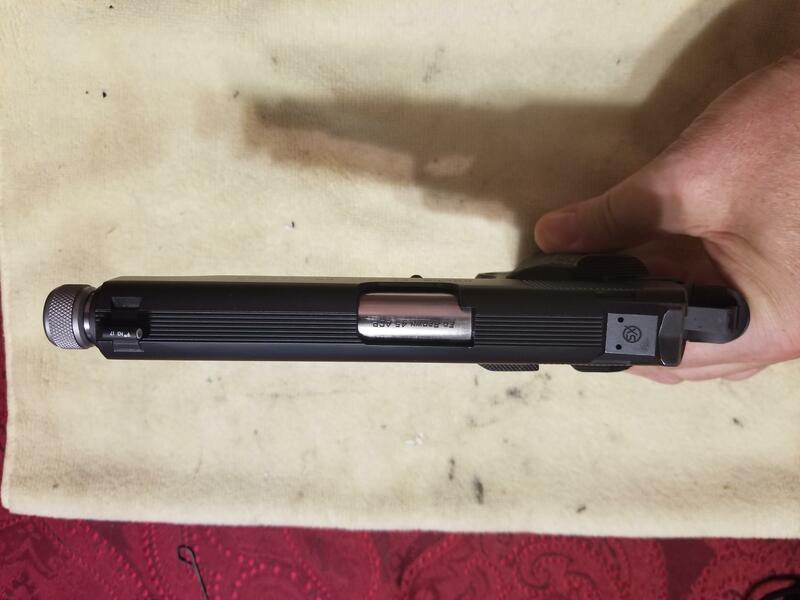 3 mags ( not sure brand) and original box.